Shrine of Sammy and his lovely hair! 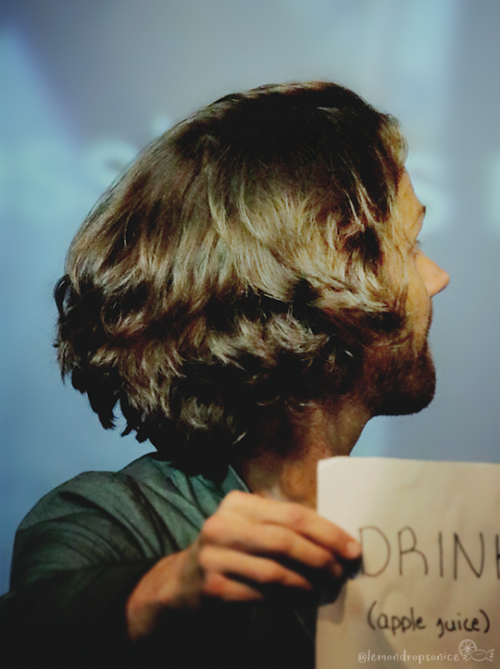 Sam's hair this season....Yum to Yick? Okay, IMO Jared's hair looked pretty awful at the con this weekend (there were a few photo ops where he'd removed the beanie). It looked like some grotesque combination of S4 and S10 hair. I apologize for this place being dead for so long (what can I say - Sam's hair has been on point this season but I haven't really seen much online that was worthy of posting). Here's a new video from TV Guide. Enjoy. 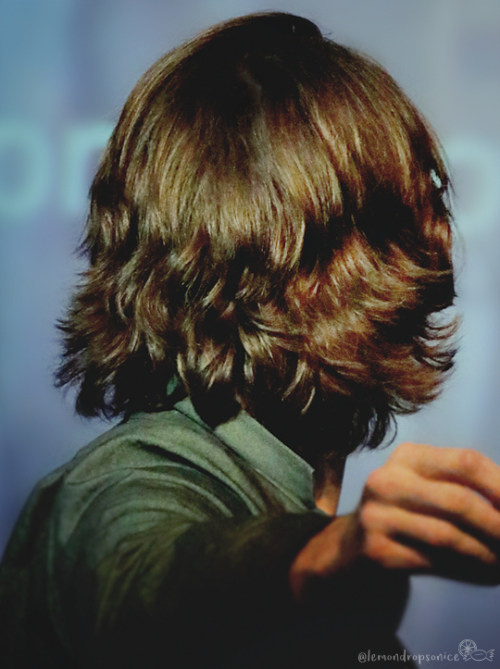 On Tumblr, lipglosskaz has a great tumblr mostly devoted to Jared...and there is so much great hair! Here are two pictures she posted this afternoon. Some lucky fans got to watch J2 and others filming yesterday and posted some pics and videos. I guess the video might be considered spoilery, but the pics I'm posting aren't. Click to enlarge. Sorry, please disregard the last post.